Good Food takes a field trip to New York City. Matt Lewis and Renato Poliafito of Baked are putting a twist on the American bakery with their homemade oreos and whoopie pies. Niki Federman is the fourth generation of Russ to be selling smoked fish on the Lower East Side at Russ and Daughters. 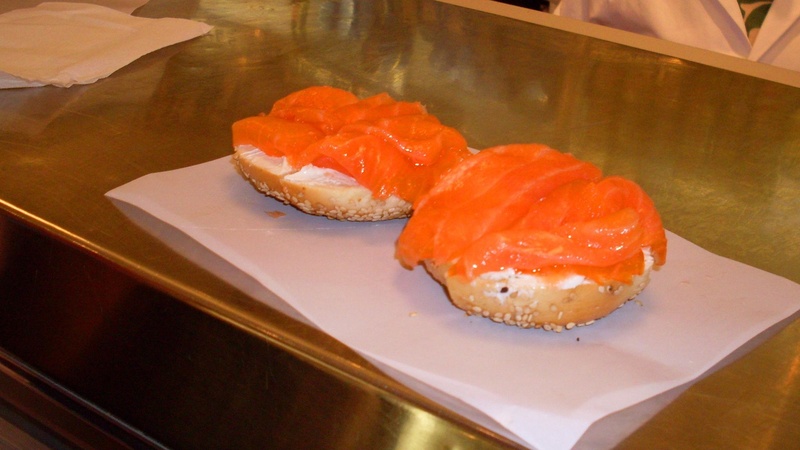 Robert Sietsema of the Village Voice tells us where to eat in the Big Apple. Joel Bukiewicz is making handcrafted kitchen knives. Charlie Sahadi of Sahadi Fine Foods has been selling Middle Eastern delicacies to Brooklynites for 60 years. Rick Mast and his brother Michael are making bean-to-bar chocolate in their Williamsburg factory. And Suvir Saran tells us everything you need to make Indian food at home. Plus two market reports.